Scott, born and raised in San Diego, is a highly motivated and accomplished sales and marketing leader with 10 years of experience in direct sales, strategic partnerships, project management, client development, marketing and digital engagement. He is a socially fearless salesperson with proven ability to cultivate relationships, engage customers and align interests in order to successfully close deals. He began his career in the insurance industry. Licensed nationwide, Scott was a consecutive top agent with well over 1,000 new clients and 7 figure sales results. Scott specialized in large scale investment polices for affluent clients all the way down to short term policies for your everyday consumer. Scott is a naturally born salesperson but also has a innate passion for the creative side of things. After a 7 year run in the insurance industry, Scott was called to take over as Vice President for the family business, Robeson Design, the worlds most watched interior design firm on broadband television. Serving as the Vice President, Scott developed portfolio growth of new residential and commercial clientele, which resulted in quadrupling revenue into the 7 figures within 9 months. He expanded brand awareness by enhancing utilization of digital and social media channels into international markets resulting in international portfolio growth. Scott has managed projects anywhere from small residential remodels to multi-million dollar commercial expansions. Combined with his passion for sales, Scott can also leverage his eye for high end design to deliver the whole package when listing your property or helping you find your dream home. Cultivating relationships, social media, marketing and top-level sales are a few of the many things Scott brings to the table as your Realtor. As a Realtor for Pacific Sotheby's International Realty, San Diego's leading Real Estate Company, Scott has the remarkable education, training, support and marketing power to take care of your home buying & selling needs. 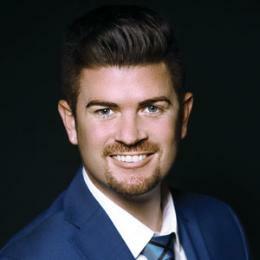 Combining his sales and negotiating expertise along with his social media branding connection to millions world wide, Scott is the Realtor for you! ?